The Danek Bonebed is in a protected nature area, and as such we have to follow special rules to protect the surrounding environment. To prevent sediment runoff into the adjacent creek, we have to be careful about how we dispose of our unwanted dirt and rocks. 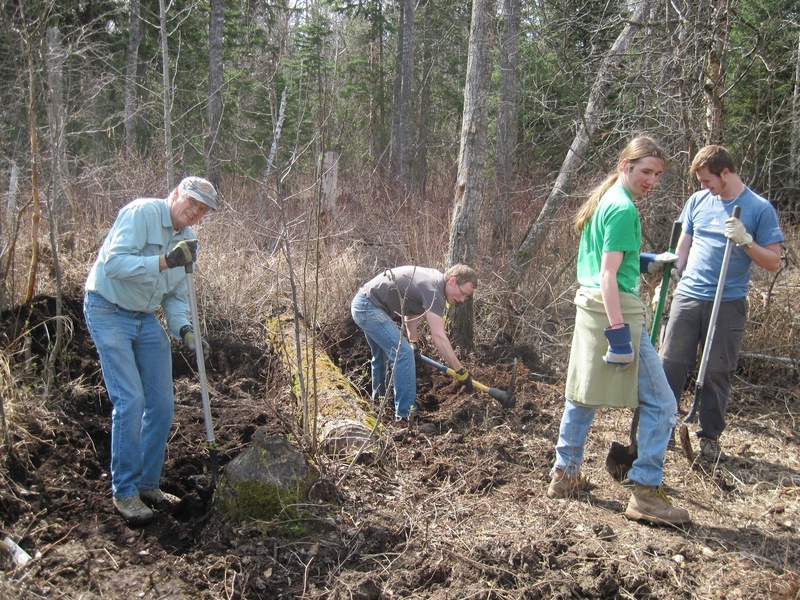 This involves clearing an area in the forest nearby and removing and saving the topsoil. All of our dirt is evenly distributed in the cleared area, and at the end of the fieldwork the topsoil is places on top of the spoil pile. This helps the vegetation regrow more easily. Once the spoil area is prepared, we can beginning digging in the actual quarries. 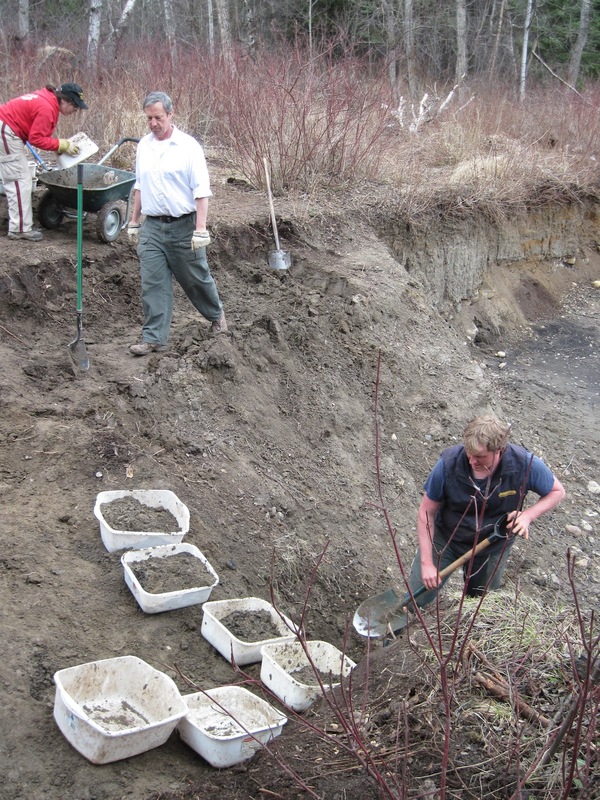 We have been excavating this bonebed since 2006, and our three quarries are starting to get pretty large. This part is really hard work and quite time consuming, but luckily there are always lots of hands to take turns shoveling, carrying buckets, and hauling the wheelbarrow. Here’s the main quarry as of this year. 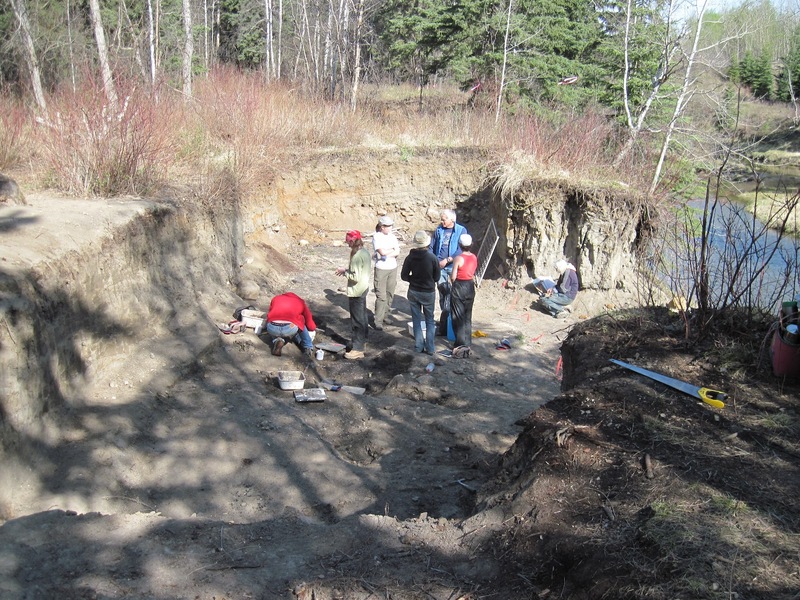 The notch cut out in the foreground is the newly excavated area for 2012. Most of the sediment overlying the bonebed is glacial till and/or fluvial sediments, much of which is fairly easy to shovel except for the large boulders sitting immediately above the bonebed. The trickiest part this year was getting through some of the frozen soil, which required pickaxing. Yup, in May the ground was still frozen. The original quarry, shown here, was first excavated by the Royal Tyrrell Museum in the late 1980s. We have expanded it a little over the last few years, and it proved to be the most productive area this year. 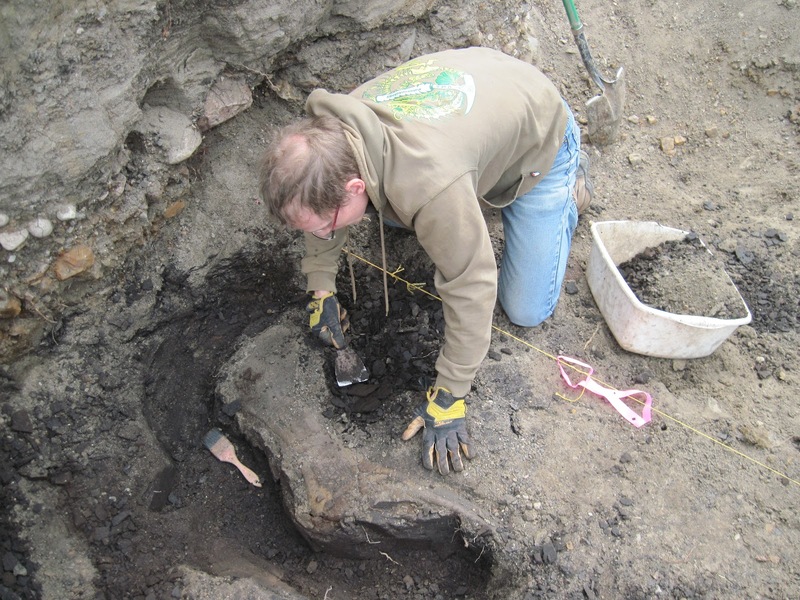 Almost all of the bones in the bonebed are from a large hadrosaurid (duck-billed dinosaur). We don’t really find articulated skeletons, but lots of isolated, jumbled elements. The sediment around the bones is really easy to remove – no hammers and chisels required, just garden trowels and dental picks. 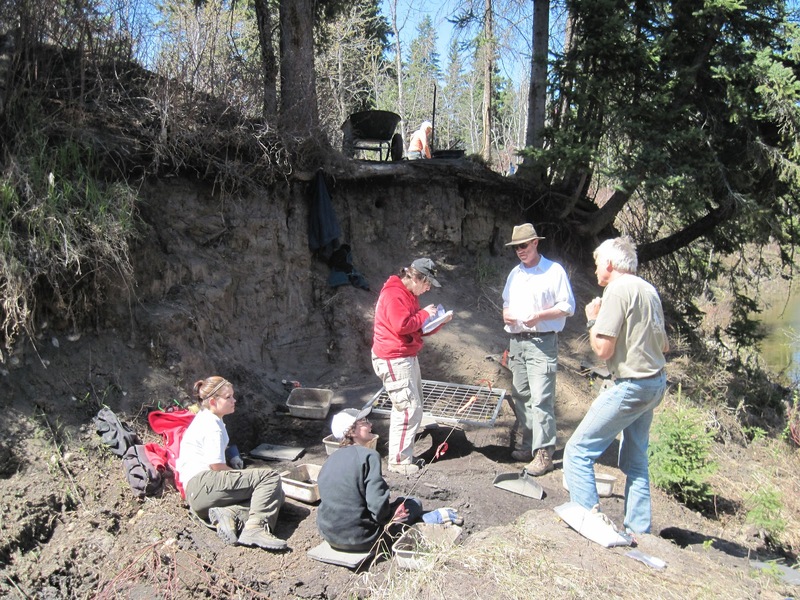 The bonebed is within the Horseshoe Canyon Formation, although I’m not sure exactly which unit. Once the bones come back to the university we have a pretty dedicated team of volunteers who help clean them up during our evening volunteer prep program.